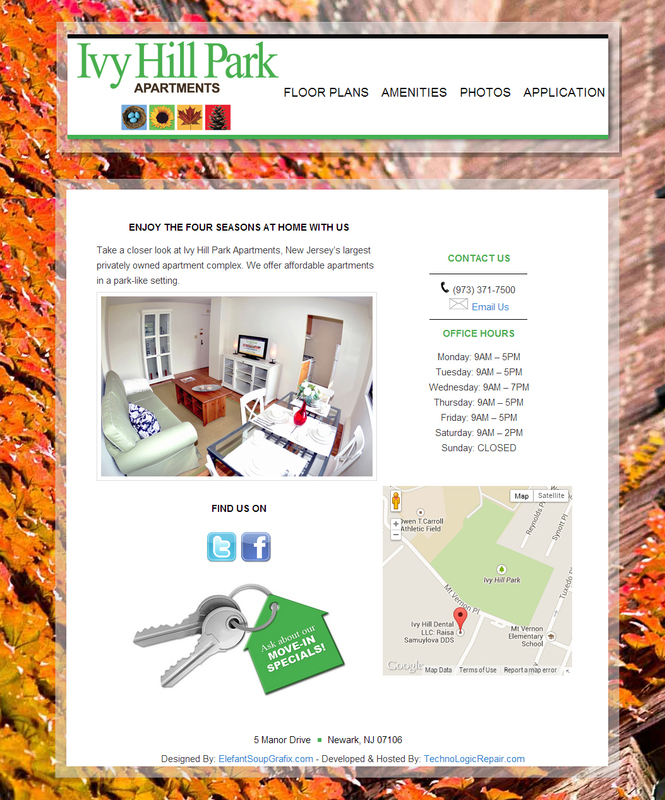 Ivy Hill Park Apartments – is New Jersey’s largest, privately owned apartment complex. Ivy Hill partnered with Striking Web Solutions by TLR to modernize and improve upon their outdated website. Striking Web Solutions by TLR worked directly with Ivy Hill staff in order to perfect the exact image and presentation they were looking to present when a client visits the site. Striking Web Solutions was able to provide Ivy Hill customers with a much needed refresh in information about the complex. Customers can now see accurate floor plans, pricing, pictures of the grounds, and most importantly, pictures of the apartments. The contact us form makes getting in contact with the sales staff a breeze and the rental application is a single click away!